The average price for this game in the past 6 months is $2.34. The game first became 50% off on Nov 25, 2011 at Amazon. Lowest historic price was $1.99 on Aug 16, 2018 at Fanatical. It's been awhile since Rage is on sale and this week GameStop has it for only $3.29. Amazon has also price matched - both are Steam key. Choose ya poison. The Steam activated PC Download of RAGE is down to $4 this weekend after coupon at Green Man Gaming. Solid 79/100 Metacritic score with the typical Bethesda quality. The deal isn't working for me. Hey sorry. Turns out the Quakecon deals are on a daily rotation basis. We suspect it might all go on sale again on the last day. Newegg is offering a physical copy of Rage PC game for free after mail in rebate. Valid for today only. Metacritic gives it a rating of 79 out of 100 with almost mixed reviews. GameFly has Rage (PC download edition) for only $9.19 after coupon. Good price for a pretty good game. Previous lowest price was $15 back in Feb. Usually $20+. The average price for this game since released is $23.59. The game first became 50% off on Nov 24, 2011 at Rakuten. Lowest historic price was $4.94 on Jun 18, 2018 at Microsoft. Fight bandits and drive around the wasteland in Rage for $20 this week at Amazon. 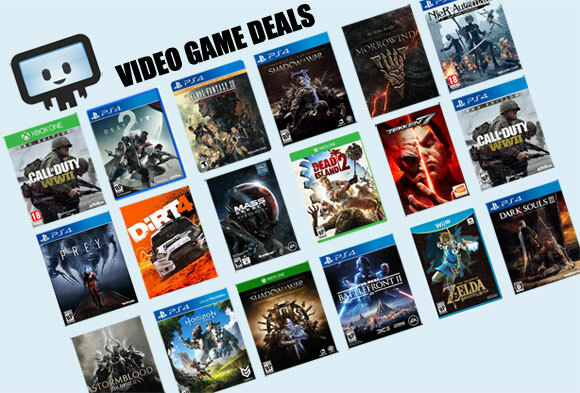 All Xbox, PS3, and PC platforms are $10 off the usual 2012 price of $30. Most customer reviews are 4 or 5 stars at Amazon (out of 5). Rage is coming out in just a few days, and you can now pre-order it at Amazon with a $10 Amazon gift card as an added incentive. Rage will be support id Software's latest id Tech 5 engine, supposedly the next best thing in FPS gaming since slice bread. Whatever the case, Rage is relatively deep in the hype meter. Will be interesting to see how well the game is received. The average price for this game since released is $2.78. The game first became 50% off on May 9, 2013 at GamersGate. Lowest historic price was $1 on Aug 1, 2013 at GameFly. The average price for this game since released is $10.00. The game first became 50% off on Apr 12, 2012 at Amazon. Lowest historic price was $4.34 on Dec 6, 2013 at goHastings. The average price for this game since released is $10.85. The game first became 50% off on Apr 12, 2012 at GameFly. Lowest historic price was $6.58 on Dec 6, 2013 at goHastings.